Before you enter a crazy shopping frenzy, check out the 2018 Taiwan Excellence Experience Zone. The event will showcase awesome brands and gadgets in time for Christmas, offering you effortless, first-class shopping for your loved ones. The event is going to be held at Glorietta 2-Palm Drive Activity Center in Makati from November 30 to December 2, 2018. It will feature four exciting zones including: ICT and Gaming, Smart Mobility, Smart Home, and Health and Leisure. A total of 38 Taiwanese tech companies will present over 90 premium products. With such variety, you won’t run out of gift ideas! The ICT and Gaming booth will showcase everything from rigs, consoles, mainframes, and accessories, serving to boost businesses and provide entertainment. Taiwan External Trade Development Council (TAITRA) will also display cutting-edge devices from tech giant ASUSTeK Computer Inc., offering the ROG Zephyrus M laptop powered by 8th Generation Intel, the industry’s most advanced processor for computers ensuring fast and seamless laptop performance. In addition, ADATA Technology Co. Ltd. will showcase its HD710 Pro, which takes external hard drive durability to the next level. It’s equipped with a triple-layered protective material to ensure it withstands destructive shocks resulting from falling on the floor. New trends and all-terrain adaptability will take center stage at the smart mobility station. Tern Junni Industries will exhibit military-grade, trailblazing products that are specially designed to conquer rugged conditions, such as the Tern Verge D9. This small-wheeled bike is equipped with a polished quill stem, leather grips, and classic silver crankset that makes it a stylish mobility device. Meanwhile, mall-goers will be able to check out Kymco Philippines Inc.’s Super z 150i’s modern dashboard, hooks, and front and rear box compartments. 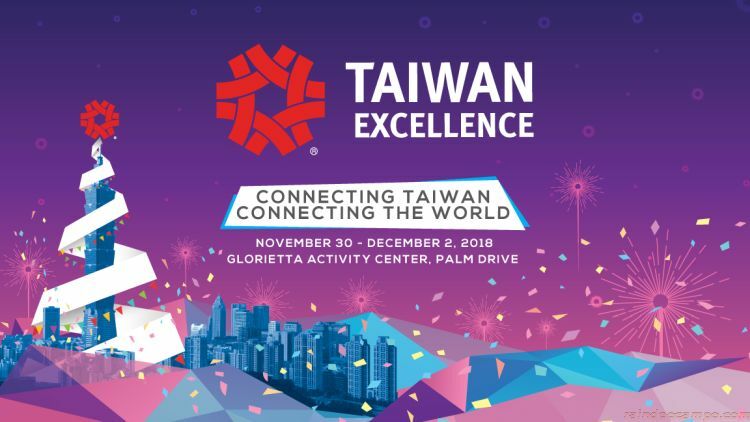 The Taiwan Excellence Experience Zone will celebrate Christmas and provide consumers with a vast array of devices to give their loved ones. Admission is free.